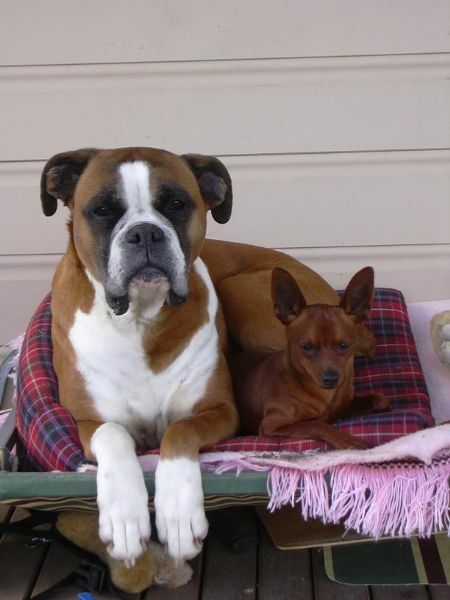 Bocsavil Kennels is a small kennel situated in the lovely Southern Tablelands of NSW Australia. 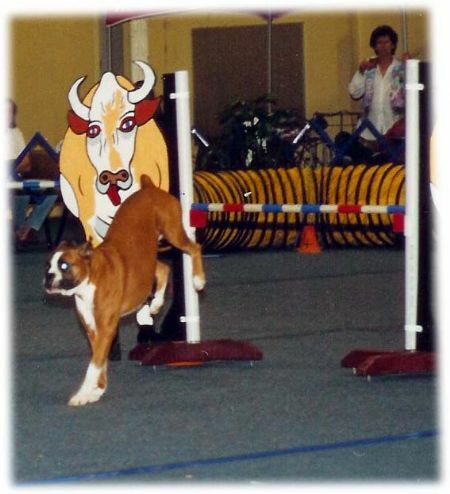 I started showing my first boxer Setantas Ruby Red AD " Cleo" in 1998 and although Cleo never worked out for the show ring the bug had bitten me and I was hooked. 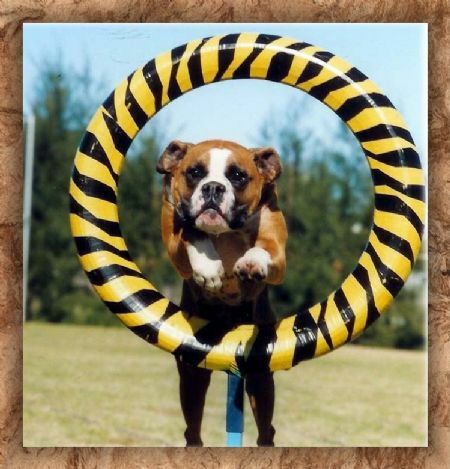 I decided to try our hand (paws) at agility and this seemed to be Cleo's calling, she achieved her first title of Agility Dog (AD) pretty quickly but circumstances changed for me and i had to stop showing and doing agility for a while. In the mean time along came Morgan (whom I have been happily married to for 16yrs) and his interest in dogs was the same as mine. 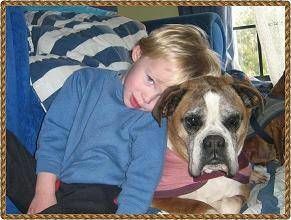 Our Kennel was registered with Dogs NSW in June 2000. 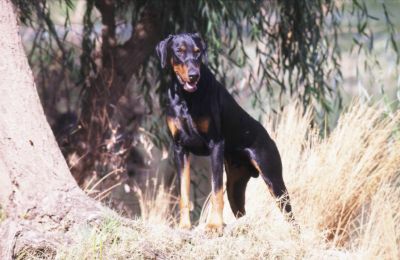 We then purchased our first Dobermann Aust Ch. Shakaton Memphis Jazz CCD ET WAC who was a multi sweepstakes winner, BIG winner and Class in Group winner. Jazz completed his Endurance Title at the age of 7yrs and 9months just in time for the cut off of 8yrs old. He has proven himself to be true to the Dobermann breed standard qualifing for his Working Aptitude Certificate. Not long after Jazz along came our first Belgian Malinois Aust Ch. Blackwolf M Don Quixote, a breed which Morgan had a love for, for a long time, Quixote exceeded our expectations by winning a 10pt Best of Breed & Puppy In Specialty Show at the Illawarra & South Eastern Belgian Shepherd Dog Club of NSW Specialty Show in 2001. He was also a sweepstakes winner (which you dont see many malinois winning a sweepstakes) and also classes in group. 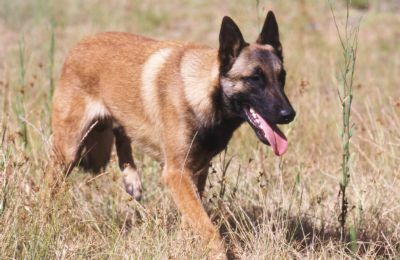 Quixote showed his allround working dog abilities by working as a patrol security dog and still performing in the show ring on his days off, he was a true testament to the working Malinois breed. Sadly Quixote was killed by a Brown snake in 2007 and is still sadly missed. Nearly 20yrs on and I still LOVE showing my boxers. To date we have titled around 16-17 dogs and hope to continue to show this wonderful breed for as long as possible. We sometimes have quality pet puppies available to loving homes & if you would like more information on our pups or would like to go on our waiting list then pls go to our PUPPY QUESTIONNAIRE page and copy & paste it on to a word document, fill it out and email it back to us. We do not charge a fee to go on our waiting list.